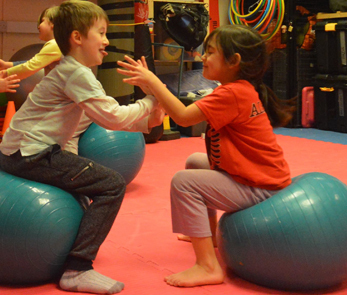 "...less martial more fun and games"
We have two programmes for children under seven years. Neither are martial arts clubs, as we feel young children don’t understand the complexities of martial arts training and what it represents in terms of complicated practice and safety. However, in essence, both programmes serve as an introduction to martial arts and self defence without all that stuffy, disciplined marching up and down boring punching thin air stuff! Mini Ninja participants get a sticker book to record several skill tasks - once completed they get a white martial arts belt. we also have t-shirts available for purchase. No such incentive exists for Pee Wee Punchers, but we hope to launch something in the not too distant future. 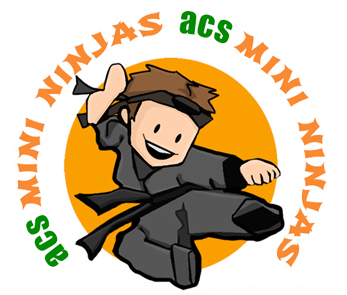 "I bring my Son to ACS Magfa's Mini Ninjas lessons weekly. He absolutely loves coming to the class every week. My Son normally struggles to engage with children at his school but at Mini Ninjas he really gets stuck in and enjoys himself with the other children. Sensei David works hard to deliver a class that's fun but that also incorporates early basic self defence skills.. Highly recommended!" "play is the beginning of knowledge"
Not martial arts classes but the beginning of a martial arts journey. Pee Wee Punchers for 3 year olds and Mini Ninjas 4-6 years comprise martial related exercises like basic punching and kicking coupled with games play. We also teach the simplest of self protection concepts in preparation for real self defence strategies the children will learn once they reach 7 years and graduate to our regular martial arts classes.